The character of Rick Grimes on AMC’s hit The Walking Dead is a polarizing figure. Some love him, some hate him, I’m just glad that over the last season or so he’s starting to resemble the character I’ve loved for years in Robert Kirkman’s comics, the grim leader who makes the decisions that no one else is capable of making, and who has to live with the consequences. Every series needs a strong figure at the center, and the upcoming Walking Dead spinoff, which we recently learned is called Cobalt, has cast its lead, their Rick Grimes if you will. 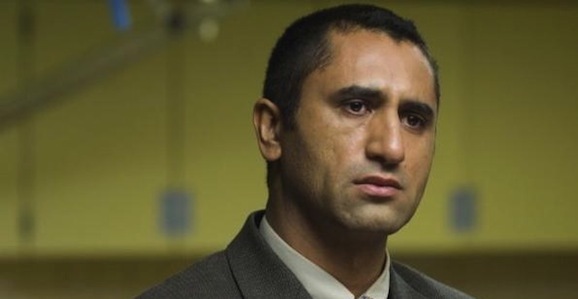 Deadline reports that Cliff Curtis (Gang Related) has signed on to take the key role of Sean Cabrera. In an earlier character run down he is described as “A Latino male in his early 40s, Sean is a good man trying to do right by everyone in his life.” He is also a divorced teacher, which explains how he comes to know one of the other primary characters, Nancy Tompkins, who is a guidance counselor. From what we know, the Cabrera and Tompkins families look to be the central focus of Cobalt. There’s no word on who may play Nancy. Up until recently, they were reportedly looking at former Fringe lead Anna Torv, which could have been fantastic because she’s woefully underused, but recent accounts quashed that idea. Her children, however, were cast just the other day. Frank Dillane (Harry Potter and the Half-Blood Prince) and Alycia Debnam Carey (Into the Storm) will play Nancy’s kids, Nick and Ashley Tompkins respectively. Nick is described as a screw up battling drug addition, which you imagine is going to be a problem after the dead start to walk the Earth. Ashley is “mostly” levelheaded, and is as ambitious as her brother is messed up. Sean has his own family, including a son named Cody. We don’t who will play the boy, but he is reportedly wicked smart and host to a wide rebellious streak, known by his neighbors as the angriest kid in town. All in all, this sounds like a volatile mix. We don’t know exactly where Cobalt is set, though Kirkman, who co-created the series with Son of Anarchy’s Dave Erickson, and will executive produce, says it won’t be France. That topic came up in a season 5 episode of The Walking Dead, leading some to speculate that could be the setting. From the bits and pieces we do know, it looks like, though Cobalt is set in the same zombie apocalypse and the main series, it offers a different perspective. Instead of dropping you into the middle of the fray, it appears that Cobalt may show the beginning of the end, and let us see just how the world went to hell. There are a lot of questions, like what does the name mean, where is this set, will the characters be on the road or barricaded in a single location? Production on Cobalt is expected to begin this month, so we will likely hear more casting and details soon.